Today, I have been feeling a little defeated. Life is hard. I mean, yes, I am blessed, and I have amazing things to be thankful for, but life is still pretty rough sometimes. Thank you to the lovely artist who drew this and to whomever helped it find it's way onto Pinterest and into my computer. 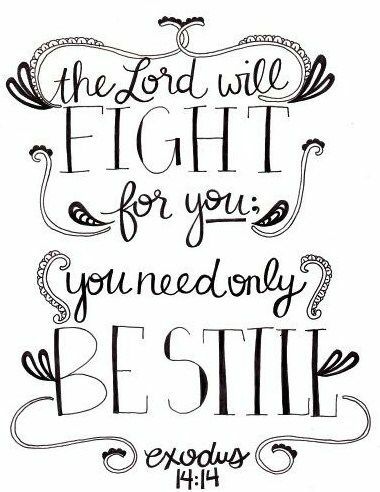 I hope that you are comforted by this verse as well - praying tonight that I can BE STILL and let God work through me. Ya'll have a wonderful night!